Exposed: Voyeurism, Surveillnce and the Camera Since 1870 is a new show organized by the San Francisco Modern Museum of Art in partnership with London's Tate Modern. It opens Oct. 30 at SFMOMA. The show tracks photography's role in breaching the boundaries of public and private. Works by major artists, including Brassaï, Henri Cartier-Bresson, Walker Evans, Nan Goldin, Lee Miller, Thomas Ruff, Paul Strand, and Weegee, will be presented alongside photographs made by amateurs, professional journalists, and governmental agencies, exploring the larger cultural significance of voyeurism and surveillance technology. "Things happen in front of you. That's perhaps the most wonderful and mysterious aspect of photography." I just finished Annie Leibovitz's At Work. I expected it to be much more of a picture book, but it delves more into her creative process in planning her portraits and other photo shoots (which is right up my alley). And she added to my Reading List Susan Sontag's Regarding the Pain of Others. The Yeah Yeah Yeahs' Nick Zinner, who previously released three books of his photos (most recently, I Hope You Are All Happy Now), now has his own photography exhibit at Fuse Gallery in New York City through Sept. 19. To see all of the August One-a-Day photos on Flickr, click here. 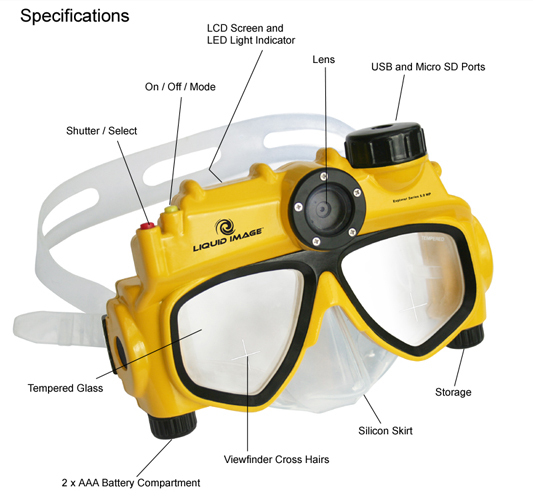 The Liquid Image Underwater Digital Camera Mask has a built-in digital camera that lets you take photos or video underwater. See video of the camera in action here. Photographer Lori Nix creates dioramas out of wood, found materials, foam and acrylic gel. She creates epic scenes in very small scale. Cool Hunting recently went behind the scenes in Lori's Brooklyn studio. They also posted an interview with Lori here. See more samples of her work online here. "An ordinary thing, cleaned of its context, can have strength of form, exquisiteness of texture, and hanging in space, become magical." Lyle Bongé was born in 1929 in Biloxi. He was the son of two local artists, Arch and Dusti Bongé. While doing graduate work in anthropology at the University of Mexico, he bought a camera to record the trip. He served in the U.S. Army in Korea and ran a darkroom there for two years. When he came home to Biloxi, he began renovating houses for a living and began his photography career too. In addition to photography, he is a metal sculptor, metal worker, and boat builder. 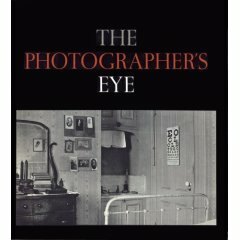 This book, long out of print,is based on MoMA's landmark 1964 photo exhibit. John Swarovski, a curator, gives readers a foundation for interpreting images. Celebrated works by such masters as Cartier-Bresson, Evans, Steichen, Strand, and Weston are juxtaposed with vernacular documents and even amateur snapshots to analyze the fundamental challenges and opportunities that all photographers have faced.